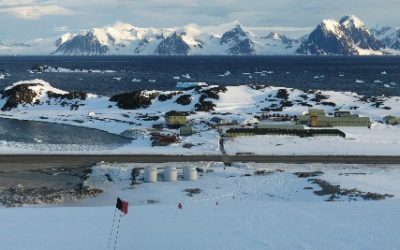 With its 900m gravel runway Rothera Research Station is the hub that supports BAS airborne capability. 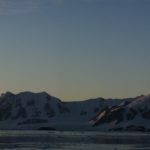 Rothera is home to a fleet of five aircraft, specially adapted for flying in extreme Antarctic climate. Four De Havilland Canada Twin Otters and one De Havilland Canada Dash-7 , are each equipped with modifications to allow them to carry out airborne science surveys. Between them they undertake a wide variety of transport and science missions.  The Dash-7 undertakes regular shuttle-flights from Rothera to and from the Falkland Islands and Punta Arenas, Chile. Twin Otter aircraft transport scientists to deep field study sites. These aircraft are often fitted with specialist instruments designed to capture geophysical and meterological data. 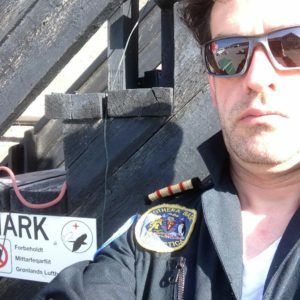 Safety is at the heart of all Antarctic air operations. BAS pilots receive specialist training and always fly with a co-pilot. The aircraft carry fuel reserves and emergency supplies because Antarctic flying is extremely weather dependent. Poor conditions can often ground aircraft for several days. The Rothera air facility has a control tower and radar beacons. From here planes fly either directly to the field or via fuel depots to their final destination. 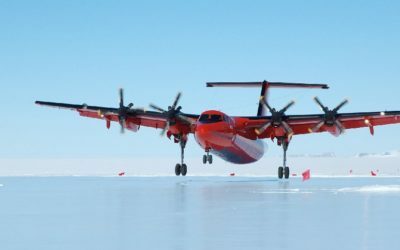 During the Antarctic summer one of the Twin Otters is based at Halley Research Station to support projects in the eastern sector of BAS operations, covering an area up to 800km from the station. 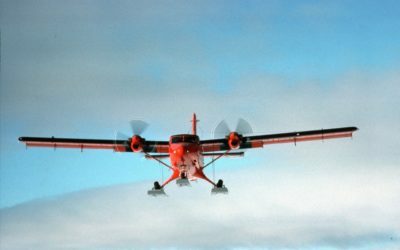 The Twin Otter aircraft are equipped with skis for landing on snow and ice in remote areas. In addition to its role ferrying people and supplies between Rothera and the Falkland Islands or Punta Arenas, the Dash-7 also lands on the blue-ice runway at Sky-Blu Field Station – a staging post for deeper forays into the continent. 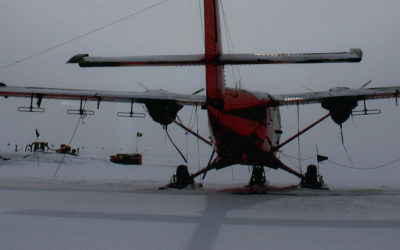 Many BAS staff arrive in the Antarctic by air. 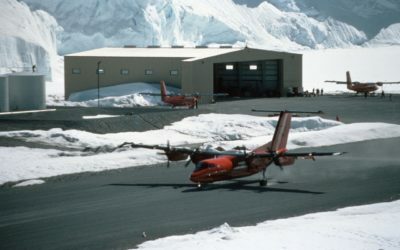 One of the primary roles of the Dash-7 aircraft is to provide an ‘air-bridge’ between Rothera and the small airport at Stanley in the Falkland Islands. The weather determines if a flight will take place and each morning before take-off, pilots check the weather forecast for the entire route. Sometimes weather at Rothera deteriorates mid-flight and the pilots have to return to the Falklands to wait for an improvement. This can sometimes take several days. 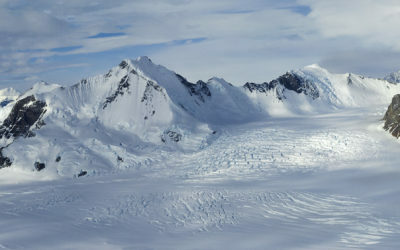 While the UK has flights to Antarctica from the Falkland Islands and Chile, other countries embark from New Zealand (including the United States), Chile and Argentina. 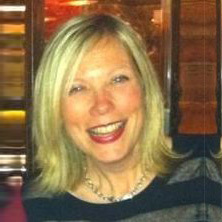 BAS also uses the Falkland Islands as a port for its two ships. During any Antarctic field season BAS aircraft fly many thousands of kilometres, often deep into the continent or high onto the Polar Plateau. These flights would be impossible without fuel depots and supply stops. 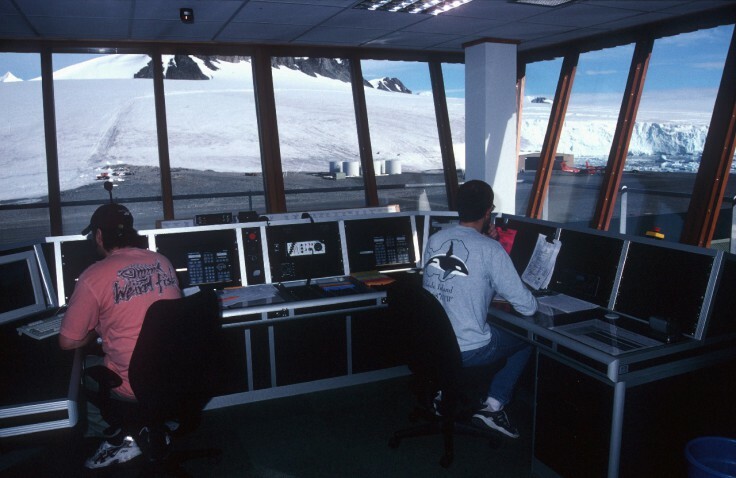 BAS operates two field stations which are permanently staffed during the summer at Fossil Bluff on Alexander Island, and further south at the Sky Blu ice runway. 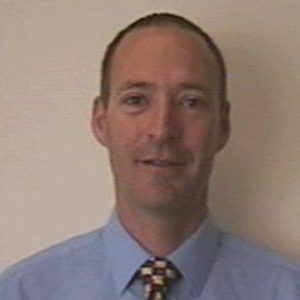 Other temporary fuel depots are established as necessary, sometimes over numerous summer seasons. 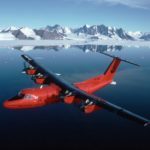 British Antarctic Survey is seeking to purchase a small passenger aircraft to work alongside its de Havilland Canada DHC-7 Series 110 (Dash 7). 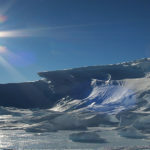 The aircraft will transport science and support teams and cargo between Rothera Research Station on the Antarctic Peninsula and Punta Arenas, Chile.